The Milky Way competes with light beams on Zrće beach on the island of Pag, Croatia, an internationally popular destination known for its nightlife. Photo by Boris Štromar (http://www.fotografija.astrobobo.net/). A proposed country-wide law in Croatia would conform to IDA’s endorsed best practices, including requirements concerning both shielding and color temperature of outdoor lighting. The law is also poised to stand as a template for other lighting policies throughout Europe, particularly with respect to enforcement. Europe is among the most light-polluted continents on the planet. According to the New World Atlas of Artificial Night Sky Brightness (2016), some 60% of Europeans live in areas where the night sky is already so bright that the Milky Way is rendered permanently invisible. 99% of Europeans live in places that are affected by light pollution to some measurable extent. But there is hope. A number of national-level public policies have been enacted to to address the problem. Regional policy in Italy’s northern Lombardy region and national laws in Slovenia and France have come into force in recent years with the intent of reducing the impact of outdoor lighting in parts of Europe and helping to maintain the integrity of natural nighttime darkness where it still exists. Many of these laws are tied to European Union (EU) targets for reducing carbon emissions in order to meet obligations under international legal conventions aimed at reducing climate change. Reducing electricity consumption through improved outdoor lighting is one way to approach meeting these requirements. Taking cues from these European examples, the Balkan nation of Croatia enacted national light pollution laws in 2011 and 2015. However, it is generally now agreed that those laws were ineffective at addressing outdoor lighting issues and that a need exists to update policies in order to bring them into conformity with revised EU environmental standards published since 2015. The Croatian Ministry of the Environment and Energy recently convened a work group consisting of staff from various government ministries as well as members of Croatian astronomy societies and the Naše Nebo (“Our Sky”) society, an organization that advocates for the protection of the night sky. Many of the suggestions of those among the group with expertise in the abatement of light pollution were incorporated into the text of the bill. Public consultations on the proposed law opened in July, and the Hrvatski Sabor, Croatia’s national parliament, considered the law in late September. It now awaits a final reading in the Sabor before becoming law. An ‘Ordinance’ will follow from the Sabor that implements the law by specifying precise standards and compliance thresholds for lighting installations. Most notable are the enforcement measures of the proposed law. A permitting process requires lighting installers to be licensed by the state (Article 10) and obligates the municipalities in local governments to proactively enforce the law (Article 6). Clearly stated objectives (Articles 2 and 8). These include reducing light pollution generally; protecting human health, biodiversity, the ecology, and sustainable development; ensuring proper design of lighting before installation; and reducing the overall electricity consumption of lighting. Limited exemptions (Article 3). These include temporary lighting in places like construction sites, along with lighting required in cases of emergencies and disasters as well as use of lighting by the military and in certain workplace situations like factories. Various forms of lighting prohibited (Article 11). Sky beams, uplighting, and external illumination of windows and doors, and illuminated signs and lamps whose correlated color temperature exceeds 2200K in ecologically sensitive places are all forbidden under the new law. Screening of interior lights to prevent outdoor light pollution is required, and although permitted, architectural facade lighting must be strictly confined to building faces and cannot spill beyond those surfaces. Extensive definition of terms used throughout the law (Article 5), including “ecology lighting” (fully shielded lighting having 0% illumination above the horizontal, plus CCT below 2700K) that is the only form of lighting allowed outdoors. It is an important advance over existing national laws elsewhere in the world. Requires submission of lighting plans to ensure compliance with the law (Articles 12 and 13). Enforcement of the law through a robust inspection regime (Articles 16, 17 and 18). Given the proliferation of lighting across southern Europe in recent decades, and especially in consideration of the transition to blue-rich white LED lighting in the last several years, the new Croatian law is an important step forward in containing the most significant threat to dark skies. The new requirements not only bring Croatian law into alignment with best practices concerning the abatement of light pollution, but also provides for a robust inspection and enforcement regime that other types of national legislation tends to lack. 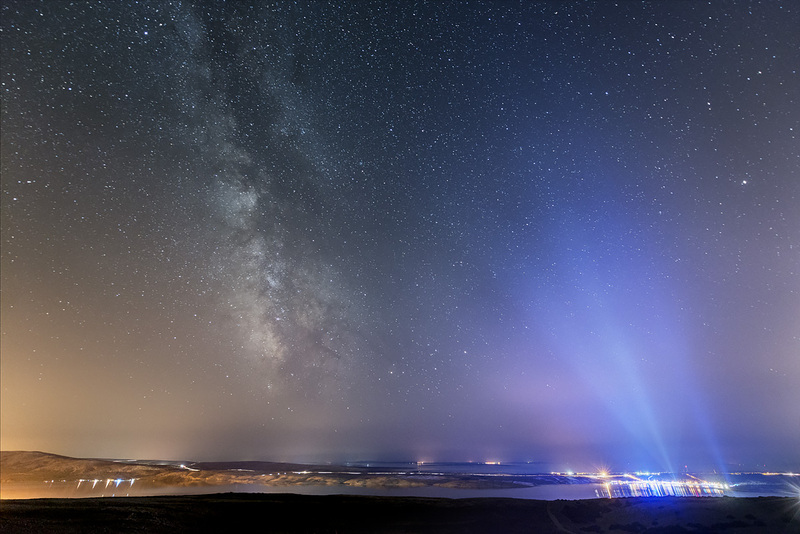 We’re pleased to see the outcome of a great effort to tackling the problem of light pollution in Croatia. Once the law is formally adopted, a ten-year period begins during which all existing lighting in the country must be brought into compliance with the new law. Dark-skies advocates will continue their efforts to educate the Croatian public about the requirements of the new law in order to help assure that it finds success. Update: In January 2019, the proposed changes to Croatian law became effective. IDA sent a letter to the Hrvatski Sabor supporting adoption of the legislation.